I did not make any of these, and I’m not affiliated with Cisco in any way. They all work on my computer. If they don’t work for you, then I’m not very sure if I can help you. 🙂 I put them up simply to share. You may also want to check out my other resource page for CCNA V5 Curriculum Download for Routing & Switching. It’s a little hard for people taking up a CCNA Exploration course to have to go online and login to Cisco Networking Academy, every time they have to read the lectures. What if you have an exam tomorrow, but your Internet connection is down? Here’s some helpful installers of the curriculum / course materials of CCNA Exploration 1, CCNA Exploration 2, CCNA Exploration 3, and CCNA Exploration 4. Installing them would let you view the course materials even when you are offline. All of these are properties of Cisco Networking Academy. CCNA Exploration 1, 2, 3, and 4. All version 4.0. I hope they help. 🙂 Study hard! 😉 I hope the installers help those who are about to take the CCNA exam and students taking up CCNA Exploration courses. i have installed ccna 1 exploration on my pc but when choose a chapter it wont launch what will i do to make it launch? Hello. What happens when you select Chapter 1 and press Launch? same problem sis.. when i choose launch, nothing happens.. im expecting d yellow bar saying “allow blocked content” but it does not appear here..
Oh, they worked for me before when I tested them. Which of the four doesn’t do anything when Launch is pressed? Maybe I could recheck it some time. i think it’s the ActiveX that blockes the program from running.. try to disable it… Or you can try Mozilla instead..
just right click the curriculum and choose open with….Mozzilla Firefox. Please help me. 🙁 Could you please send it to my email instead? Try to install adobe flash tool. thank you for sharing your offline curriculum its a big help for us who are taking ccna…did you already take the ccna exam certification..
sorry guys,..what i mean is to turn off the information bar for activeX and to do that..click the Internet Explorer tools button, and then click internet options> security tab and then click custom level. encountered the problem too, tried doing the above fix but to no avail. Hi, thanks a lot for curriculums, they will realy help with my study. To problems with launching… try to enable open all pop-ups (or something similar), solved my problem. Tried on OPERA browser and works. The word “Thanks a lot” is not enough to express to your effort to help others. I downloaded them and they worked properly with me from IE.Just people need to allow blocking contents to make it work. it´s from 2007, but online courses are little modified and copyright is 2007-2009 .. dont you have newer version ? I don’t have the newer version. It seems to me that there’s only a little modification, so I guess this would still be helpful. I’ll update these files as soon as I find the ones that were last modified. You have a good heart just as your looks..
I’m sorry, I don’t have them. I have installed the Module 4 for this but when I try to run it, a blank white page appears and seeing nothing. Can you tell me what’s wrong? Can you please help me.. Thanks! Do i need to install all the 4 modules to run it? No you don’t have to install the others. I’m sorry I cannot help you with what you posted earlier. I haven’t encountered that error. I hope it goes well soon. it works fine now. Thanks for posting. great help, this may not be the updated one but a great resources. I’ve tried latest IE8, Opera, Chrome, Firebox, I can only open the first index.html, but when I select a chapter and press “Launch Course” it doesn’t do anything. I also disabled Blocking Pop up, and still won’t work. Any suggestions? Its all good, I got it working now. The curriculum has to be executed from the shortcut. i’m using firefox but doesn’t work, what can i do, plz help me… i have windows 7 maybe, is this a problem…? I was looking for it the whole summer..
brigado por sua contribuição ! What happens when you try to download? I was able to download CCNA 1. Thank You for the exploration setups…Cheers . if nothing happens when you click on Launch, the problems is probably with Adobe Shockwave Player. Hi, Thank you very much for the complete curriculum details. It would definitely help me for preparing the exam where i can schedule the topics easily. thanks. but it is very painful to study in my computer screen. do you have the pdf version of these tutorial? if anyone please help me. thanks for the resources..hope i can use these for my Cisco study. 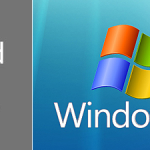 hi thanks for sharing, can i ask how did you find-create those installers? Thank you for your effective information. You may try this link AS3. Good luck. Pingback: Hello cruel world! « ….++…. I have tried all. bt i am not able to run it.. i have tried in every browser.. bt its is not running at all…. thank you so much its really help me. Am so happy that I could find the curriculum materials. 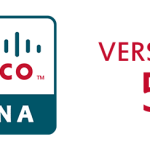 do you have cisco ccna discovery? First of all let me thank the uploader. Thank you so much sweet heart. You may use Mozilla Firefox, It will automatically load it, in addition, you need to install activeX Controls, for the Program to work. i’m running these following installers on my laptop.and the home page for selecting chapters shows on screen, but when i click on the launch course, the other window didn’t open. there’s nothing happens when i click on the launch course. when i read the comments i knew it wouldn’t work…but it has you should see me having a dance.thanks a million…mwaaahhhhh. The links for download don’t work and I really need those curricula for CCNA certification! Thanks in advance. yahooooooooooo i got tnx a lot. Thanks. CCNA1 works fine. However I have a question: does an version CCNA1 “offline” exist for UBUNTU/FEDORA? it doesn’t work, what happened to it? the download button don’t work. Hey thanx, all are working…. Thanks for exploration files posting. They are very useful for my CCNA exam. didn’t work for me. launch course button doesn’t work. i use google chrome. Hi, thanks a lot, it works for me in internet explorer, but i was looking for a portuguese-brazilian version, if is possible, send me a hello. thanks alooot. u have no idea how much this means to me…been searching for months. yes, ma’m its really working well. thanks a lot for your work. after installing, when i select a chapter and select launch, it doesnt do anything. am i missing something? we have the same problem…. Good day, I would just like to ask, what are the needed applications in order to run the cisco curriculum… i have tried running it many times but it is still unsuccesful…to add my laptop is of old age it has a processor of about Mhz…can it still work? thanks a lot. i have a question.. done with the installation, how do i open it? do i open the file “index” then click “launch course”, if so it doesn’t work for me.. is there a workaround if this is a problem? Great material upload. I lost the ones I had and searched all to no avail…until now. Thanks for the upload. You can’t imagine the help you render by making these available. Just right click and open with Internet Explorer after its downloaded and installed. Did not work for me with Chrome and Firefox, but IE worked great! Thank you so so so so much! I have installed the explorer alright. But anytime i want to launch a chapter, it does not respond. What could be the problem? My problem have been solved< I guess. I used firefox and it worked just fine. Thanks a lot.. CCNA4 materials worked for me too.. I will surely pass my exams now. Thanks for this mate! Your the best! Thanks a lot. I really need it. and I really like it. Good luck to you. Wow post thanks! We think your articles are great and want more soon. We enjoy anything to do with word games/word play. Hi! Thank you for the cisco 1 – 4 explorations. I didn’t expect to find these on the internet! They’re quite useful, especially right now, because they’re changing the Networking Academy site and the old curricula will be available on the new site only after they process your request, which could take up to a month. I am not able to view it on my MAC. Can you help? I have an ipad3 and I can’t download ..y? do you have ICND 2 200-101 powerpoint slides? What happened to the links? Thank you! It works for me! Can you help me please? When i try to launch any chapter from ccna 1 2 3 or 4 it won;t launch and i tried to launch it with 4 different browsers. What should i do? Do you have the 5th edition? Please let me know? thanks do u ve d discovery too? Hi, i’m experiencing problems opening the chapters, when I click “Launch Course” nothing happens. I really appreciate your extended effort in sharing this very helpful information. I like the detailed steps and explanation of your proceedure. It makes it a lot easier to follow and understand. great help. thank you pal. Please how do I get the .pkt files for the simulations.